For tactical situations and defense, the Black Boot Knife with Sheath is essential. This black knife has a long, double-edged blade that tapers to a wicked point, paired with a matching, contoured black handle and sheath for safety. The blade features a fuller down most of its length. The grip has textured sides and a guard with arms that angle towards the blade to protect the hand of the wielder. 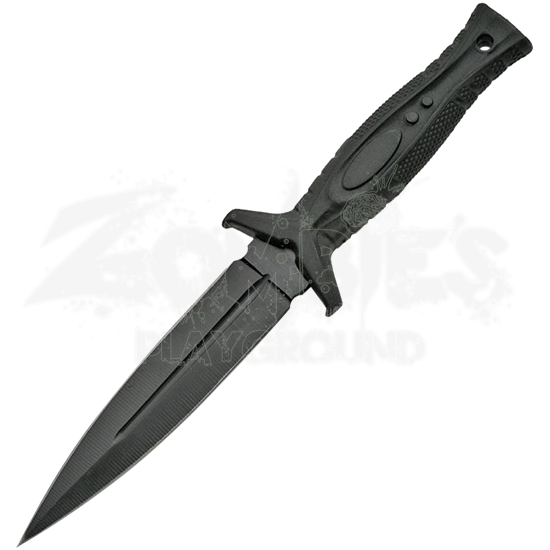 Store this tactical knife in the included black nylon sheath, which has a snap to hold the blackened steel blade safely covered and in place when not in use. 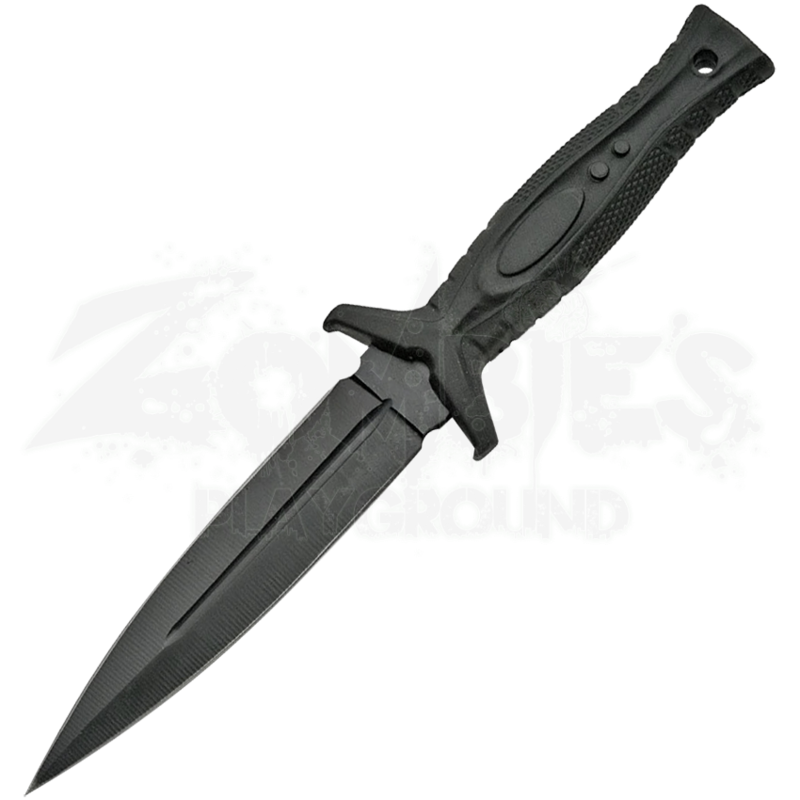 Reach for this black combat knife with its long, tapered blade the next time you need a wicked companion for self defense and survival situations.